Howdy. 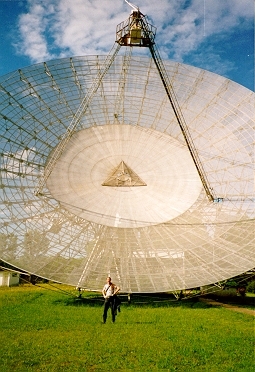 I am a researcher and a Director at the Southwest Research Institute (SwRI). I previously worked for NASA. Since 1987 I have been studying massive stars and how they affect their environment, particularly in the Magellanic Clouds but also including other nearby galaxies such as M33. Since I began working at SwRI in 1996, more and more of my research is spent on solar system topics, with a focus on the Kuiper Belt. Other topics include study of the Moon, asteroids, comets, Pluto, and other Solar System stuff. I am Deputy-PI and project manager for the Rosetta-Alice instrument, and project manager and science team member for the LRO-LAMP and the New Horizons Alice instruments. 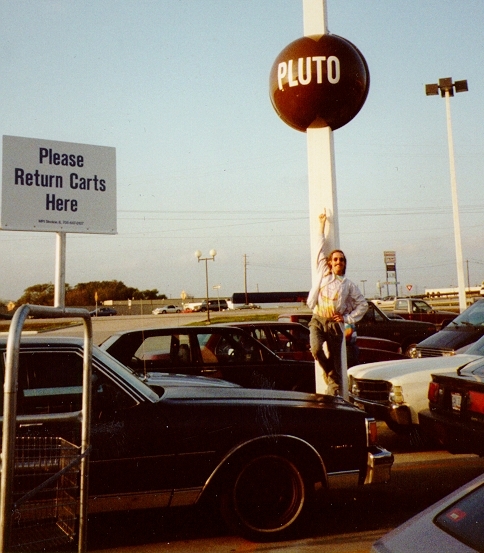 I also am the editor of Distant EKOs, the Kuiper belt electronic newsletter. ...photometric and spectroscopic multi-wavelength (x-ray, ultraviolet, optical, infrared, millimeter) studies in planetary and stellar astrophysics using ground-based (e.g., CTIO, KPNO, MDM, McDonald, Las Campanas, NRAO) space-based (e.g., HST, Rosetta, New Horizons, Lunar Reconaissance Orbiter (LRO), Deep Space 1 (DS1), SWUIS, IUE, ISO, UIT), and sub-orbital instruments. Topics of interest include Comets; Centaurs and Kuiper Belt objects; Pluto; Luna; young stellar groups and their environments; initial mass functions and star-formation rates; interactions of massive stars with the ISM; luminous blue variables; data reduction and analysis techniques. You can get a PDF copy of my CV, and a collection of my papers, or check out the most recent ADS list of my papers. (or, you can get the sub-lists of papers in refereed journals or other papers like MPECs, conference proceedings, etc.). You can get synthetic spectra (with line IDs) of B main-Sequence stars. Pretty pix in the MC Emission-Line Survey. One of my projects: the LRO mission and the LAMP instrument. First, some general Moon info. The New Millenium Deep Space 1(DS1) Mission to asteroid 1992 KD, and comets 107P/Wilson-Harrington and 19P/Borrelly. Here is a TOP SECRET map of Pluto, and I should know because I have been there. Everything you wanted to know about the Pluto-Kuiper belt Mission. A glossary of acronyms and terms used in Kuiper belt research. The ephemerides and orbital elements of comets, minor planets, NEOs, etc. The TNO Recovery Program at CFHT. First, general obverver-based comet info (JPL) and other comet stuff (SEDS) and yet more comet data (Japan). The Rosetta mission to rendezvous with coment 46P/Wirtanen. Here is a very nice Tour of The Solar System, by Bill Arnett. The Planetary Data System's Small Bodies Node. The NSSDC's Planetary Science page. JPL's SSD's Horizons program via telnet or a web-based form. What is Southwest Research Institute? The SwRI main office is in San Antonio, Texas, which boasts nearly 3000 employees. 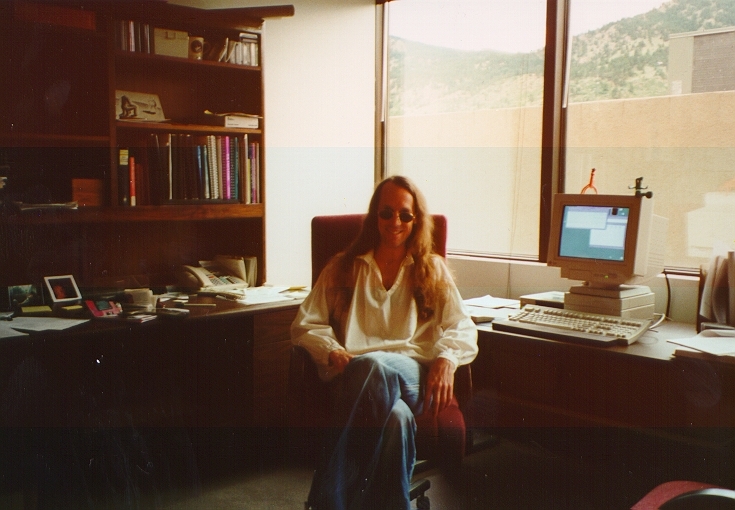 SwRI has a number of branch offices, and I work in the Boulder, Colorado office (the Planetary Science Directorate). I love being an astronomer. And, yes, I always really wanted to be an astronaut on the Space Shuttle with other astronauts! I guess that fits in with my personality type. There is the discussion list and page for AsCan wannabes. You can find more details in the Astronaut Fact Book. To find out if you have the Right Stuff, check out this book about Space Medicine in Project Mercury from NASA's History Office. He believed in the primacy of doubt, not as a blemish on our ability to know but as the essence of knowing..
--- James Gleick in his biography of Richard Feynman.